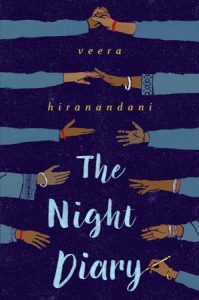 Gr 5-8 –Nisha writes to her Muslim mother, who died giving birth to her and her twin brother, Amil, in a diary she receives on their 12th birthday. HIRANANDANI, Veera. The Night Diary. 272p. glossary. Dial. Feb. 2018. Tr $16.99. ISBN 9780735228511.